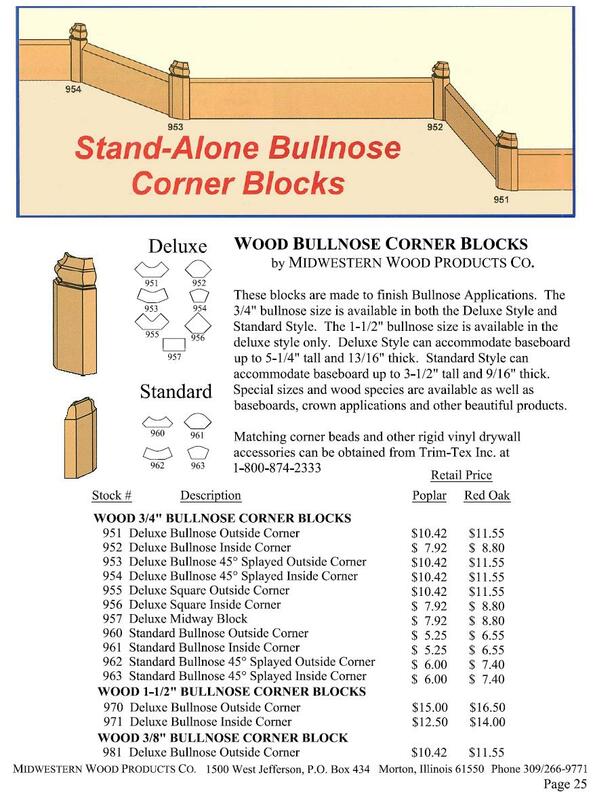 Bullnose radius corner blocks allow baseboard to make a smooth transition when using curved inside and outside corners. Use these corner blocks with Trim-Tex corner beads and other brands of 3/4″ bullnose drywall corner beads. We offer two styles, Deluxe and Standard. The Deluxe style accommodates baseboard up to 5-1/4″ tall and 13/16″ thick. The Standard style accommodates baseboard up to 3-1/2″ tall and 9/16″ thick.